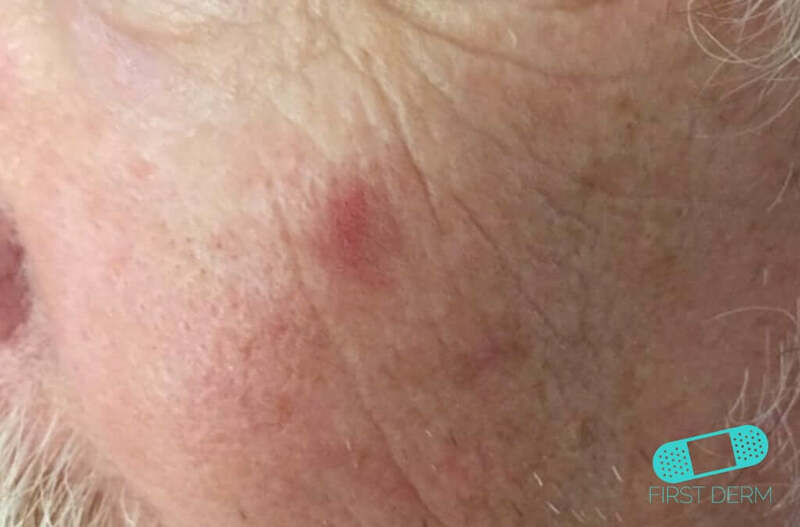 Squamous cell carcinoma (SCC) is the second most common form of skin cancer after basal cell carcinoma. 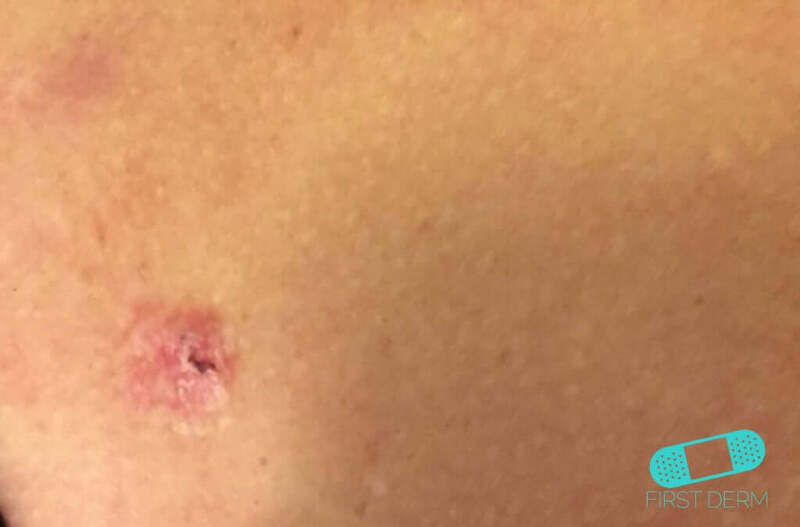 About 700,000 new cases of this skin cancer are diagnosed in the United States each year. 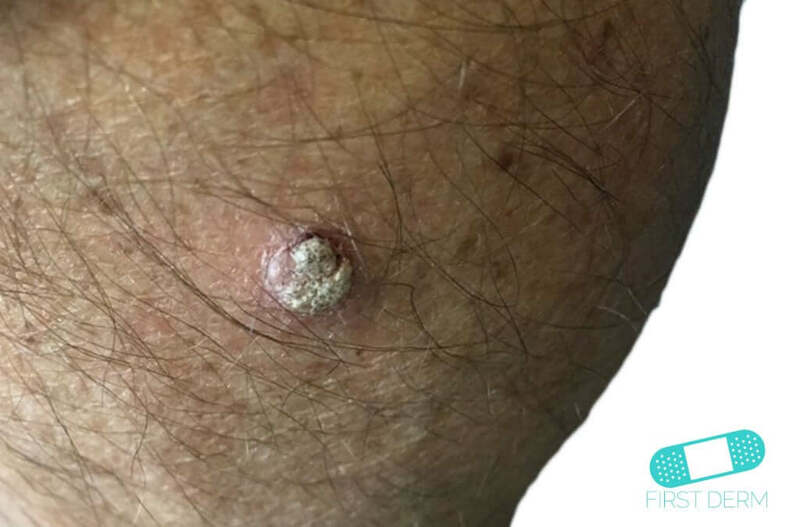 Anyone who has had one squamous cell tumor has an increased chance of developing another, especially in the same skin area or nearby. That is usually because the skin has already suffered irreversible sun damage. 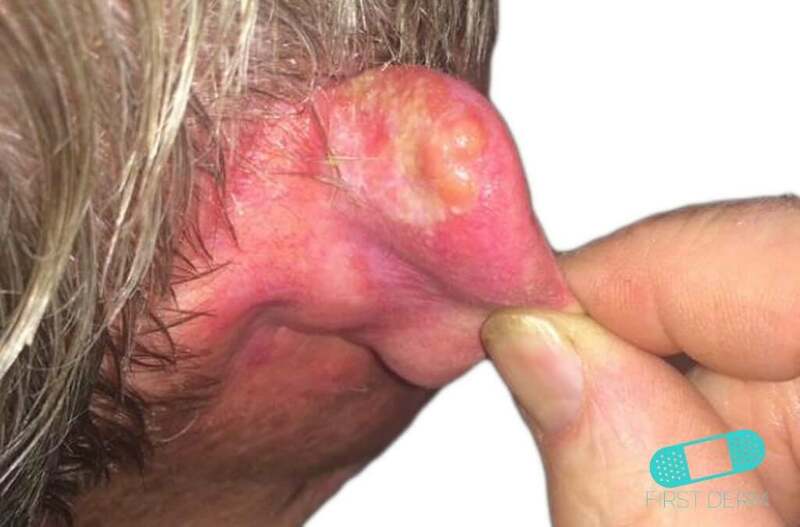 Squamous cell carcinoma is often found in chronic sun-exposed areas of the head, neck, lower legs and back of the hands. 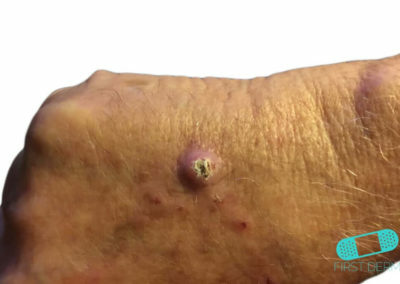 You can also get squamous cell carcinoma in chronic wounds and scars from burns and radiation therapy. When caused by an HPV infection, it may start under a nail and destroy the nail. 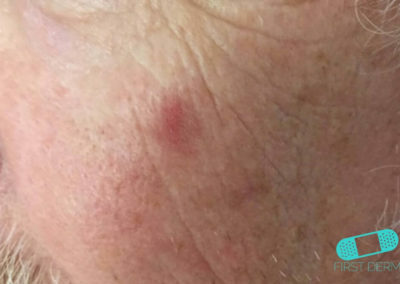 The most common symptom is a rough lump or blemish anywhere on the skin. 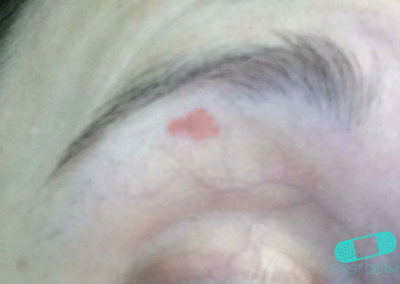 The lesions are often skin colored or pale red, and sometimes covered with hard scales. They usually do not itch. 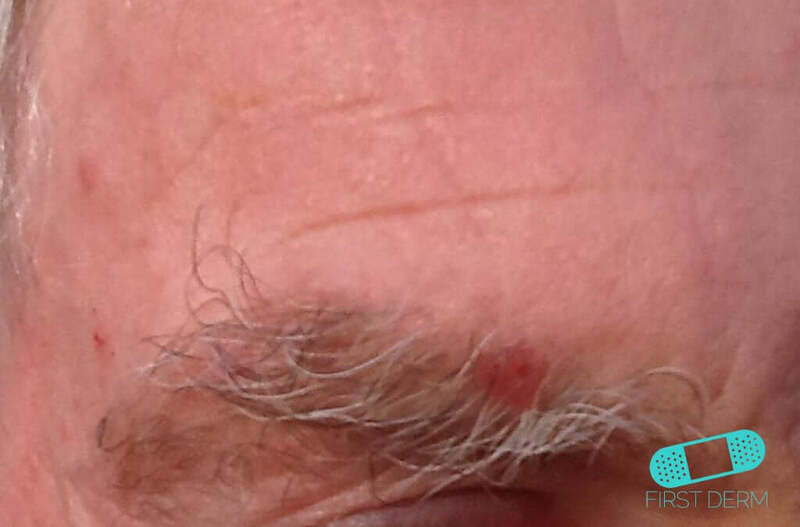 In the early stage (squamous cell carcinoma in situ), the cancer grows superficially on the skin. 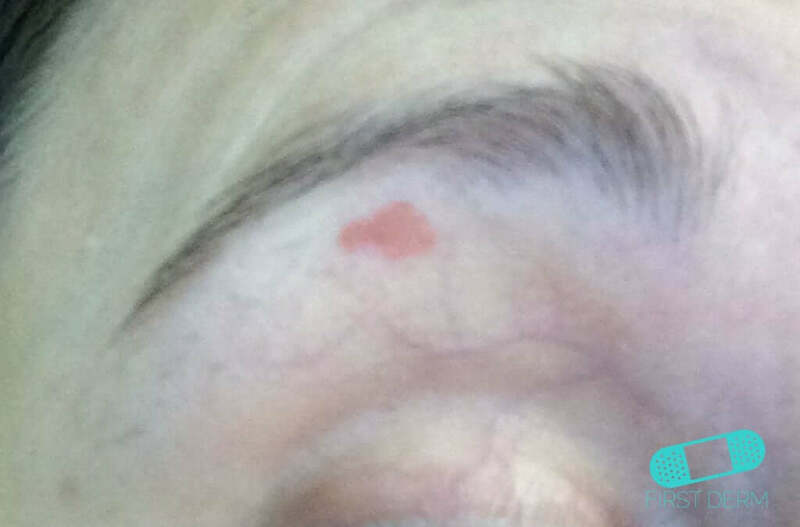 A blush spot appears, sometimes with small wounds and flaking. 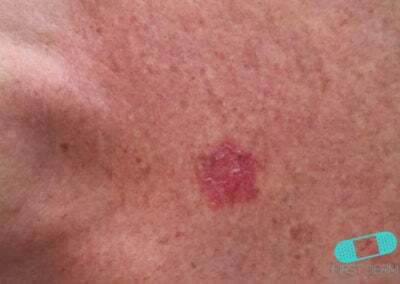 Such lesions are sometimes misdiagnosed as eczema patches. 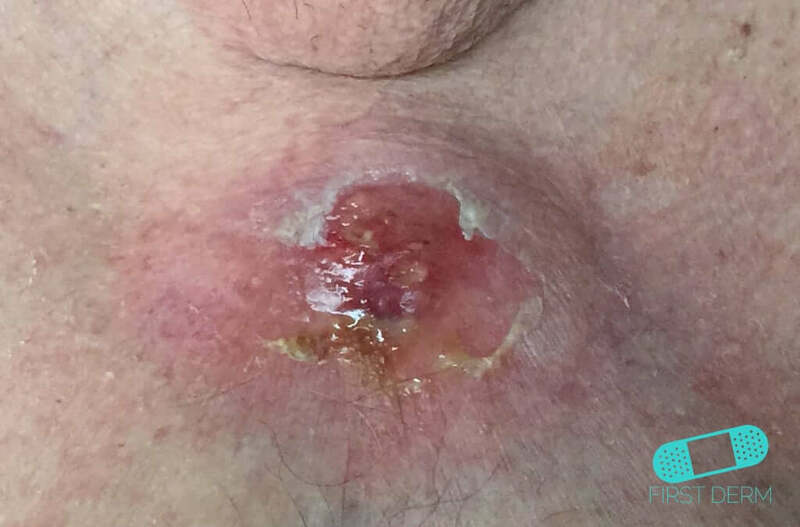 In the second stage (invasive squamous cell carcinoma), the cancer grows deeper into the skin and appears as a well-defined flesh-colored or slightly red nodule. The flaking often continues. 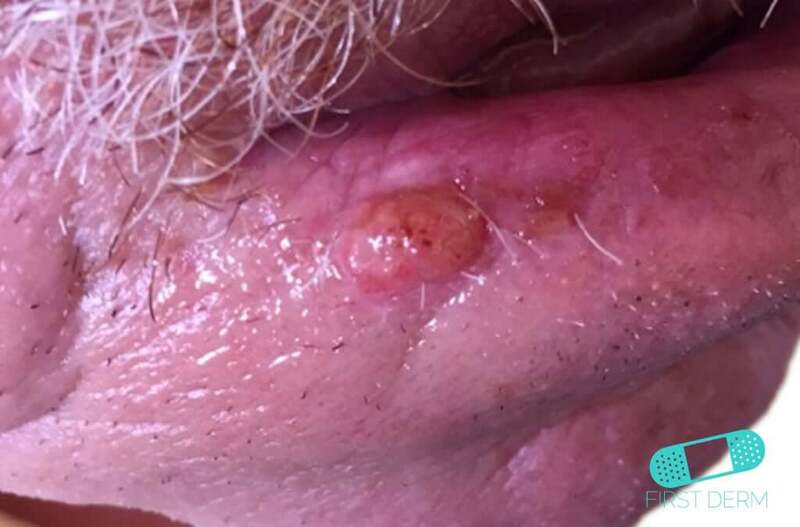 In some cases, the cancer presents itself as a tumor or ulcer covered with crusts. 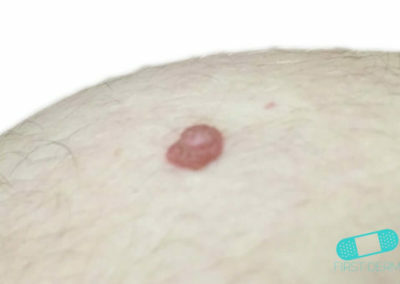 The cancer can then spread to other parts of the body. You should protect your skin from the sun and indoor tanning. 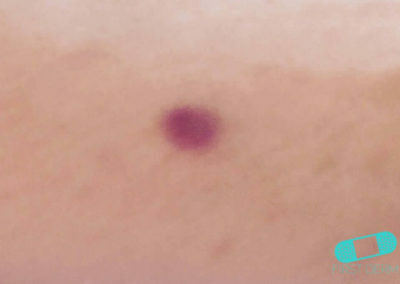 Avoid using tanning beds – people who use tanning beds have a much higher risk of getting squamous cell carcinoma. Examine your skin often. 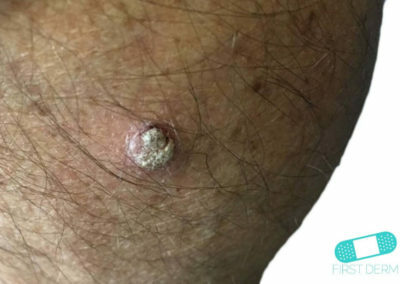 If you find new nodules, blushing changes or ulcers on your skin that do not heal on its own, you should seek medical care. 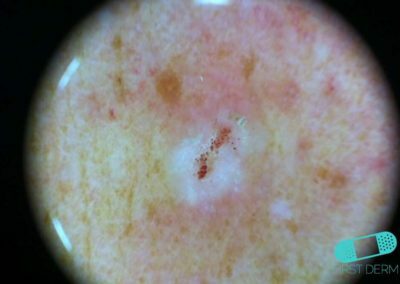 These lesions should always be examined more closely. 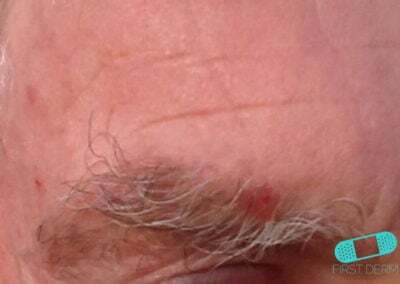 In many cases, they are benign, but it is important to rule out the possibility of skin cancer. Skin biopsy is the only way to diagnose skin cancer. 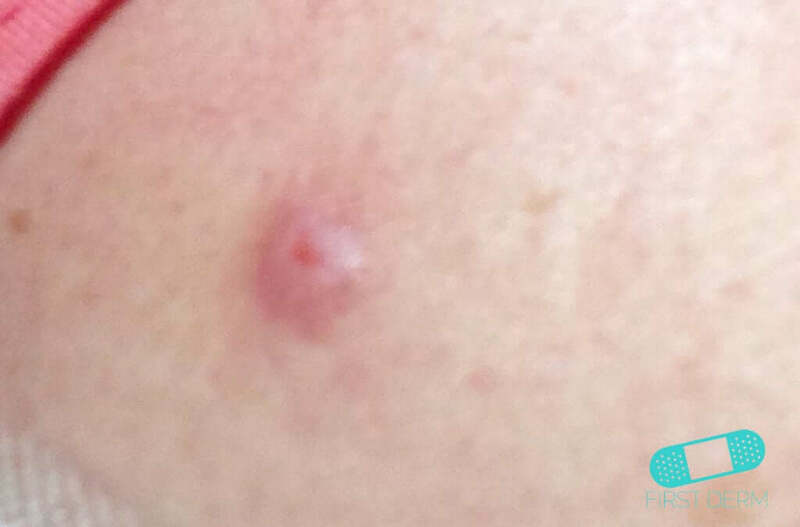 You dermatologist will remove part of or the entire affected area and examine it with a microscope. The findings will be communicated in a biopsy report. 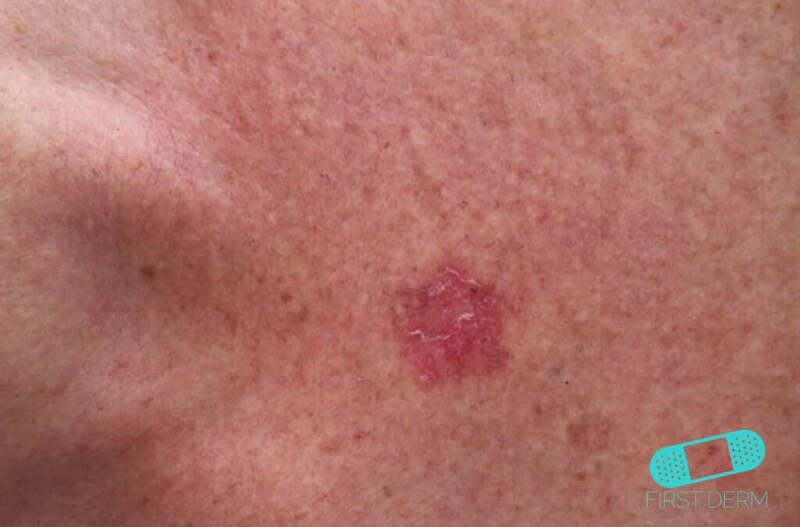 With early detection and treatment, squamous cell carcinoma is highly curable. 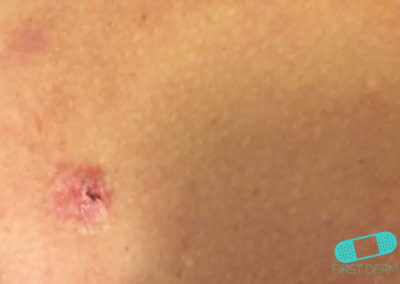 Surgical excision is usually the treatment option for squamous cell carcinoma. 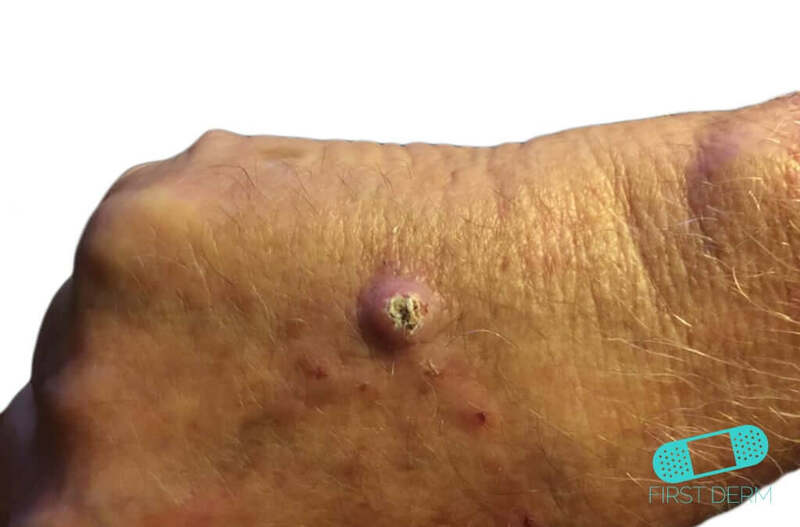 Actinic keratoses are usually treated with freezing with liquid nitrogen but also photodynamic therapy (PDT) applications and medical creams. Your dermatologist can usually perform an excision during an office visit. 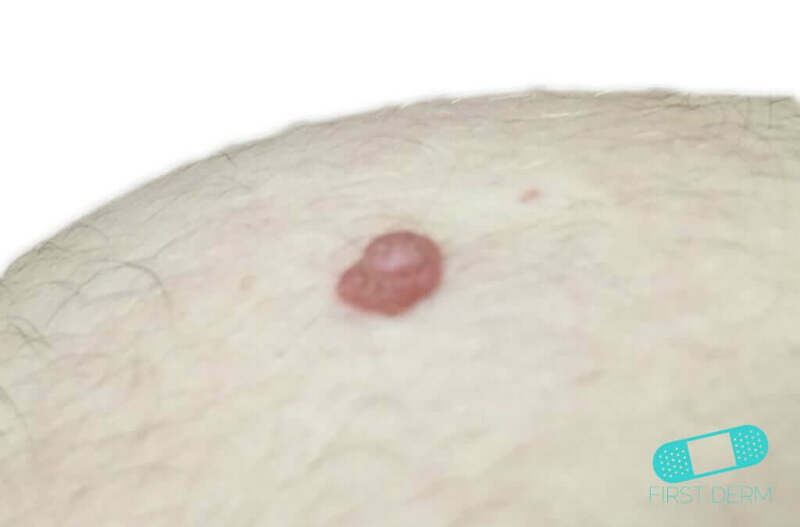 The procedure involves numbing the affected area and cutting out the tumor and skin around it. 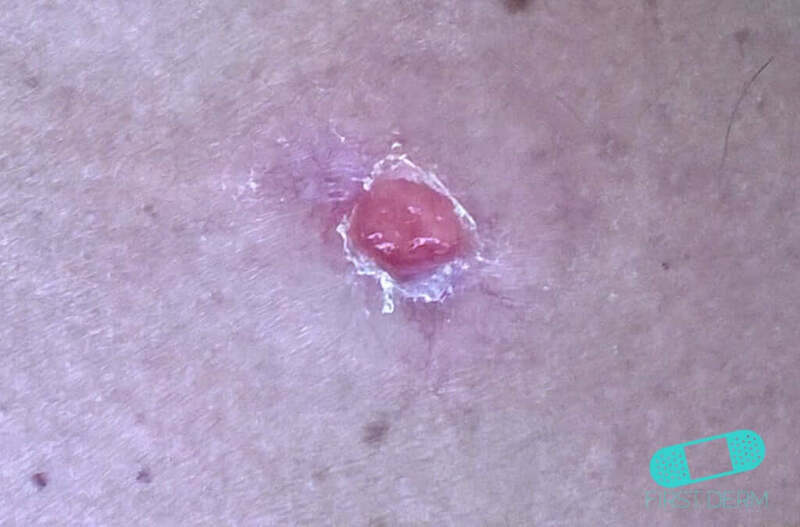 The doctor then looks at the removed skin and examine if the surrounding skin is free of cancer cells. 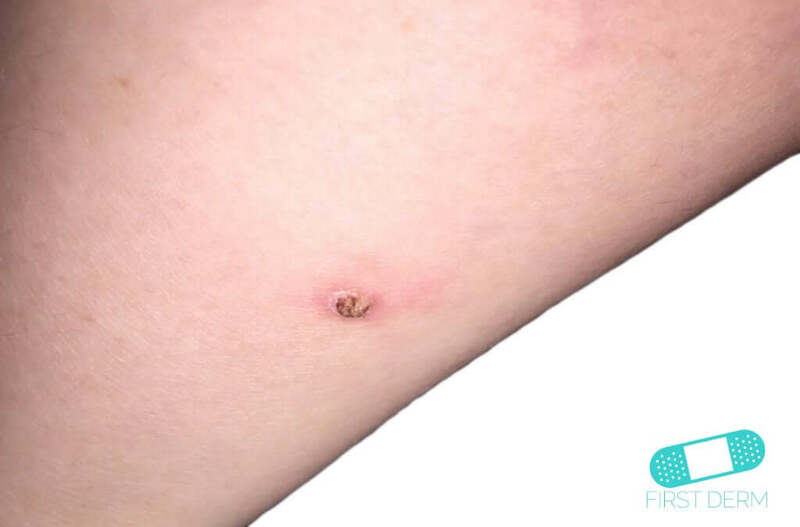 More skin may be removed if the biopsy suggests otherwise. Mohs surgery is specialized surgery with the highest cure rate for difficult-to-treat squamous cell cancers. 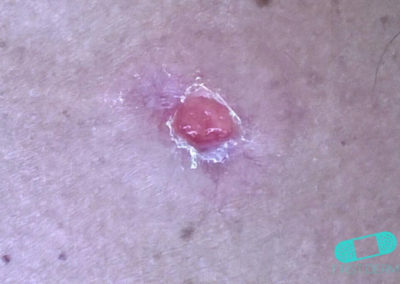 The surgeons cut out the tumor and a small amount of surrounding normal-looking skin. 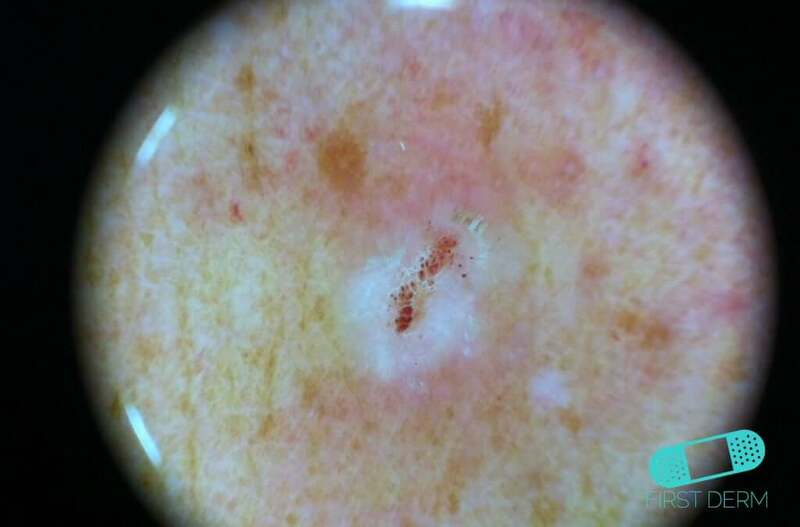 The surgeon then examines the removal under a microscope and continue remove very small amount of skin until no cancer cells is examined. Other treatments include radiation, chemotherapy cream, laser treatment, photodynamic therapy and curettage and electrodesiccation.